Magpie Dance have launched new inclusive contemporary dance classes with the Royal Academy of Dance (RAD). Classes start this Friday and continue till the end of November. They’re a drop in basis so no booking is necessary. Weekly drop in class from 21 September – 30 November (excluding Friday 26 October for half term). These sessions offer adults over 16, both with and without learning disabilities, the opportunity to develop skills in contemporary dance technique. Our unique and highly accessible inclusive dance methodology is about facilitating dancers to express their artistic voice. 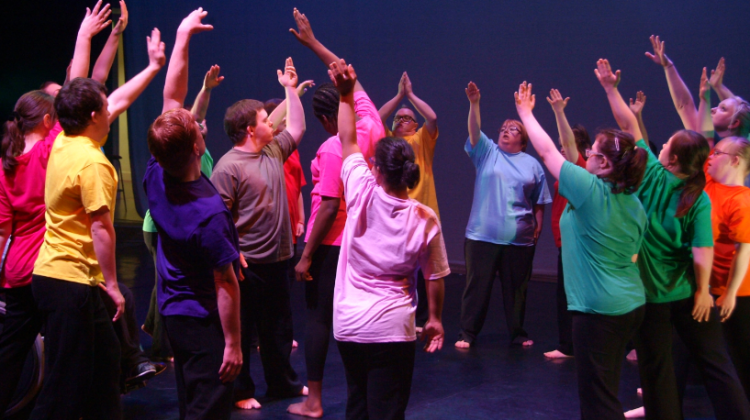 For dancers with learning disabilities, the session offers the opportunity to develop their dance technique while supporting them to collaborate with dancers without learning disabilities; giving them greater scope and confidence to engage in mainstream programmes and activities. Cost: £8 per session, £7 for Wandsworth residents. No booking necessary, pay as you go. This entry was posted in Battersea, Events and tagged Dance, Royal Academy of Dance by Blogger. Bookmark the permalink.